We’re excited to announce that our annual conference, The Uberflip Experienc The Content Experience is back for its second year! Once again, marketers can get up close and personal with some of the brightest minds in the industry, to share insights on how to create and leverage great content experiences at every stage of the buyer’s journey. 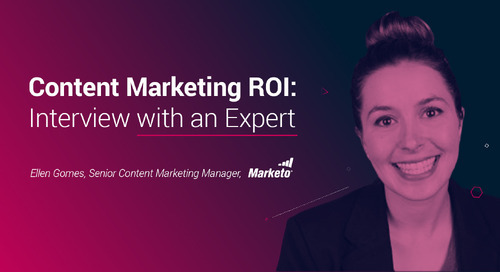 Who better to learn from than content marketing pros? Hear from marketing rockstars and veterans of the conference stage, who can educate, delight, entertain, and inform in each and every session! This year you'll hear from marketing superstars Jay Baer, Ann Handley, Andy Crestodina, Oli Gardner, and more. Learn what it takes to create a more efficient team, not just in marketing, but within your entire organization. Get actionable tips on how to expand your content’s usability with other teams and make your content work for you. Network with fellow Uberflip users and marketers. Learn from each other about what's worked, what's failed, and what's fueled your marketing strategies. Share tips of the trade with new friends. Drake. The CN Tower. Uberflip. So many great things and people hail from Toronto! Take some time to explore the city. Eat at amazing restaurants, visit beautiful parks, and try to catch a Jays game! You can also always ask any Uberflipper for advice on places to go and things to do. At Uberflip, we love swag. And food. And fun. So prepare yourself for all of that, plus more! You may need to take an extra day from work to recover from so much awesomeness.